We are a Graphic Design, Web Development and ongoing Marketing studio… but you probably already knew that! Let’s delve a little deeper, shall we? We are a small studio with big ideas. Our primary team is made up of Dan Robins and Chris Woodley, two industry trained brummies with a combined 30 years experience and an arguably overly-sensitive eagerness for alignment and pixel perfection. Of course, there are more people to our team than us two, we have a wide network established over many years, made up of freelancers, photography professionals, SEO specialists and trade printers. We don’t just see them as suppliers but as an integral part of our daily routine! The good news is, we don’t work with anyone who doesn’t share our desire to achieve the best results. Dan’s love of design and print started at a very early age, having come from a family background heavily involved in the industry. His father owned and ran a Birmingham print house prior to retirement, and his brother ran his own successful print finishing company. With design and print firmly in his blood, upon completing his education at the Matthew Boulton College of Print in 1994, he went on to gain experience in many graphics and repro houses, reaching the position of Studio Manager at a large full colour printers in central Birmingham. 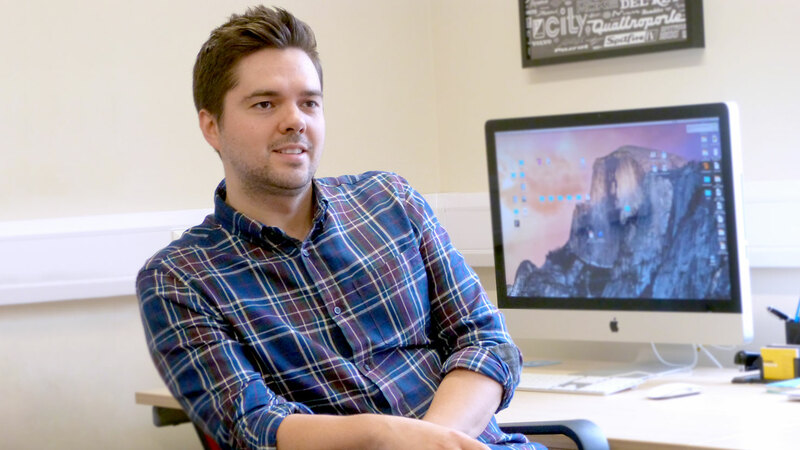 From there, Dan went on to establish himself in the high-pressured environment of the exhibition industry, creating graphic design and brand awareness for event organisers and exhibitors at national events held within Europe’s major venues. This large format and branding expertise, along with the ability to translate it to web and digital media, is seen as one of his major strengths. Fun fact: Has the strange ability to identify any font. We’re not joking, Try it! 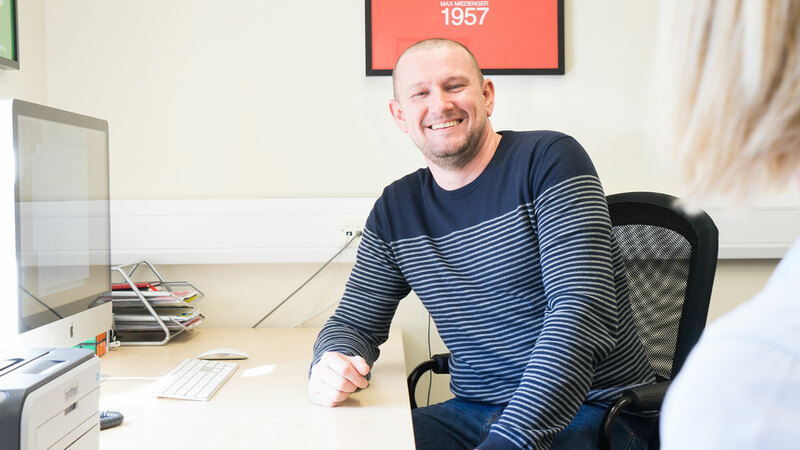 Chris started out in 2001, working for one of the UK’s largest high street print franchises, running the graphic design side of the team for the Solihull area. This is effectively where he learned his trade and laid the foundations for his career to date. In 2005, things really got going when he went on to establish his own business, ImageArt Graphic Design, building his own client base, many of which were carried over to Colab Digital and still remain valued clients. This is also where all-things-web started to creep into view, and a shift towards web development and other code-based disciplines started to occur. In 2010, it was clear that more hands were needed on deck, and following a successful spell working together on a number of projects, Dan and Chris decided to join forces.